Central Maryland. Last updated: 12/20/2009. 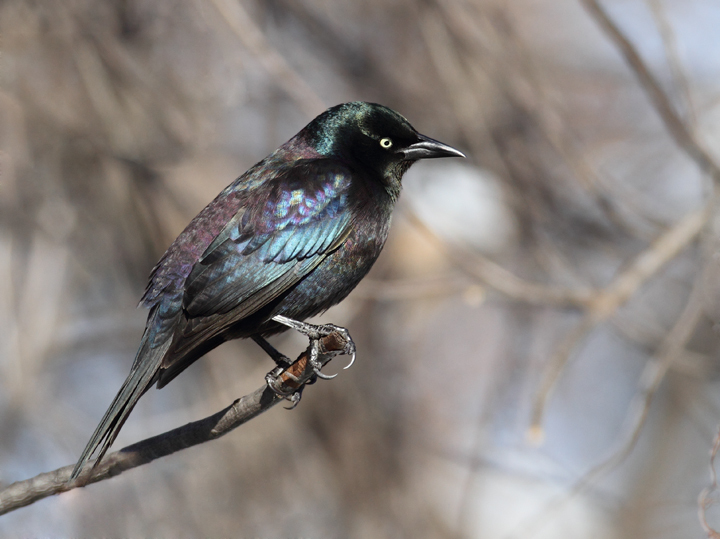 Above and below: A comparison of Bronzed and Purple Grackles in my yard in Anne Arundel Co., Maryland (12/20/2009). 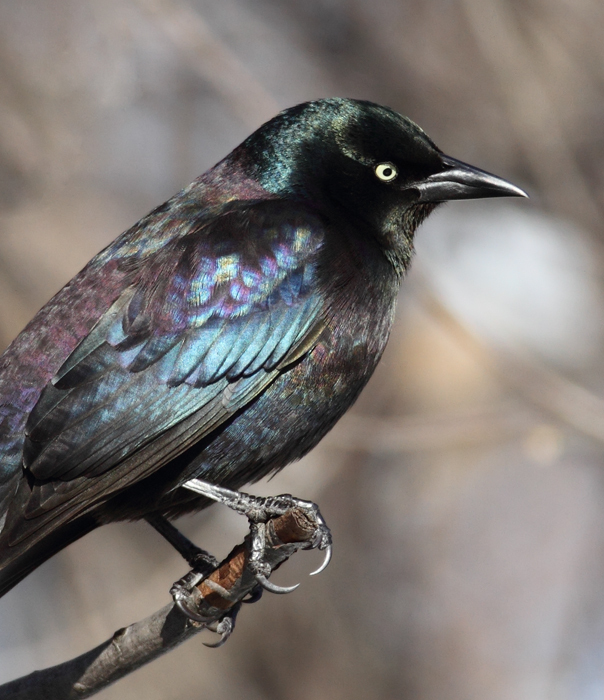 Our area hosts a wintering flock of marauding Common Grackles, which often holds a few Bronzed Grackles. 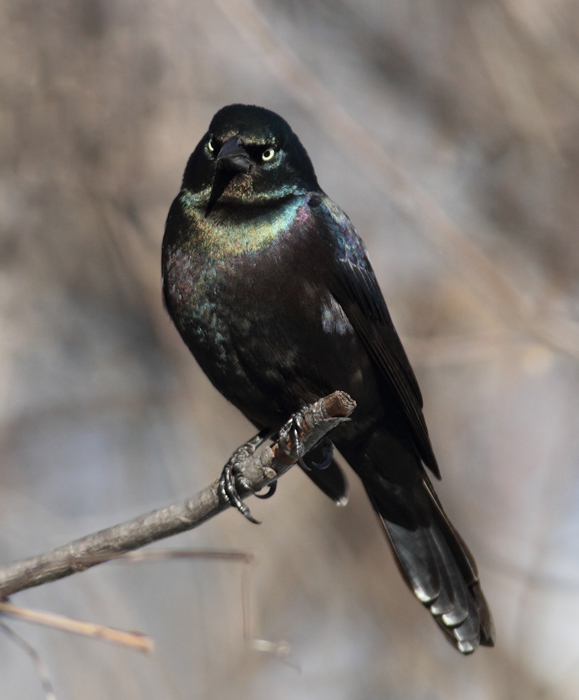 Bronzed Grackle (Q. q. versicolor) is the subspecies that breeds generally west of the Appalachians and is the less common migrant and wintering subspecies in Maryland. I have been awaiting an opportunity to photograph the two species in ideal light to show the striking differences in plumage iridescence. Today finally provided just such an opportunity. 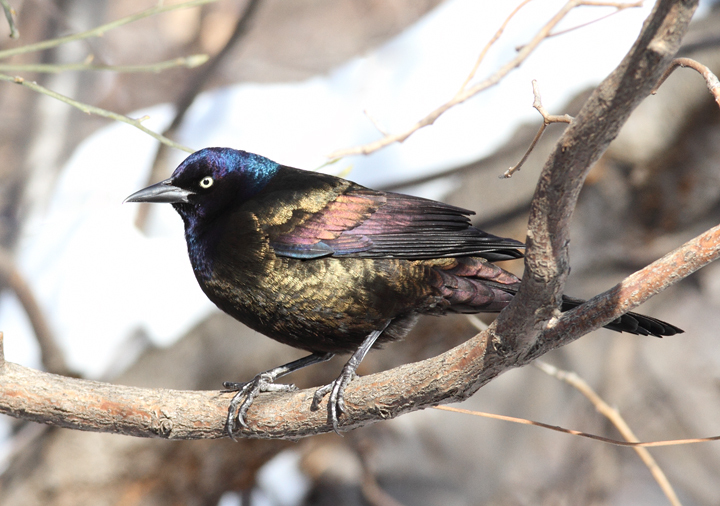 The first three images show our year-round subspecies, Purple Grackle (Q. q. stonei). 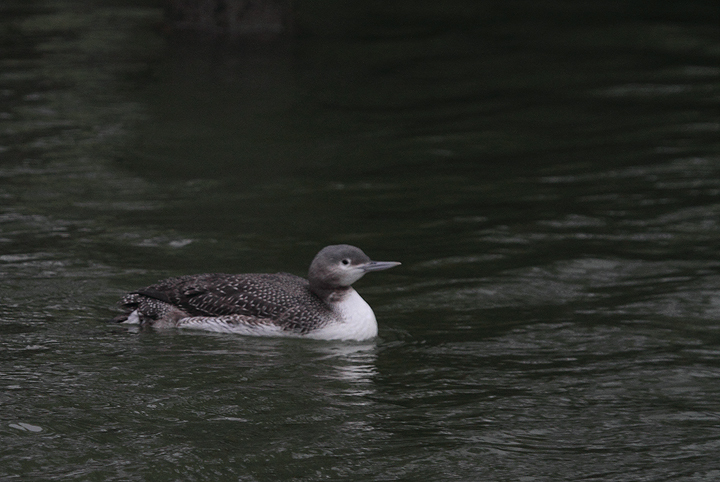 Note the green iridescence on the head and extensive purple on the back and belly. The overall iridescence often looks rainbow-colored. 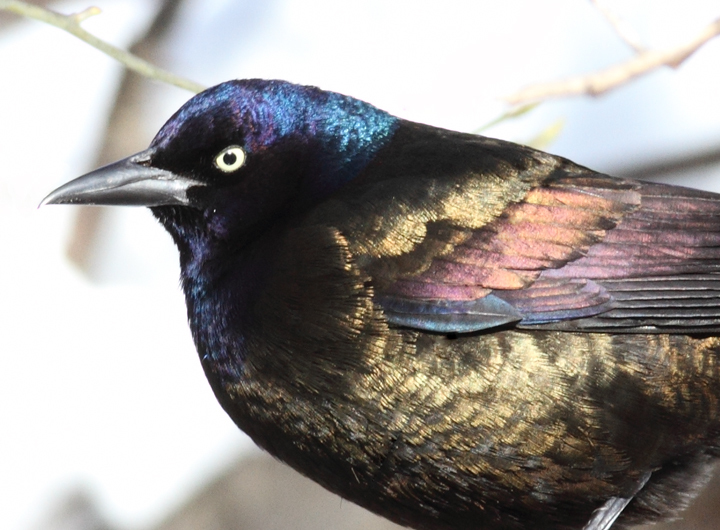 Below: Bronzed Grackle. 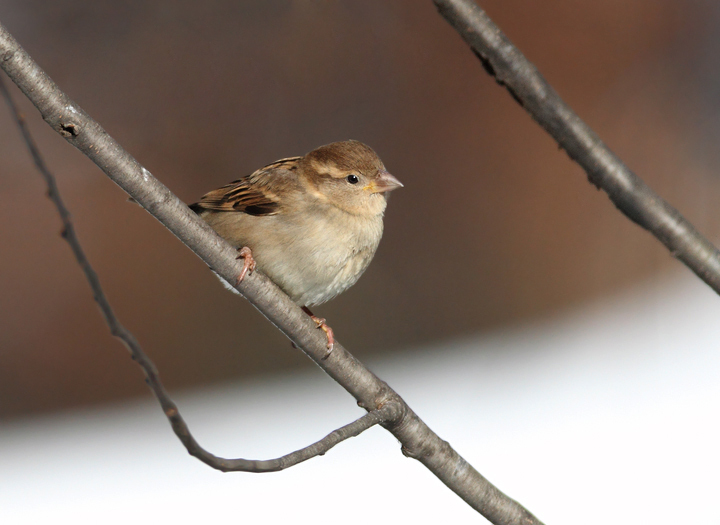 The following images illustrate the striking plumage differences in ideal light. 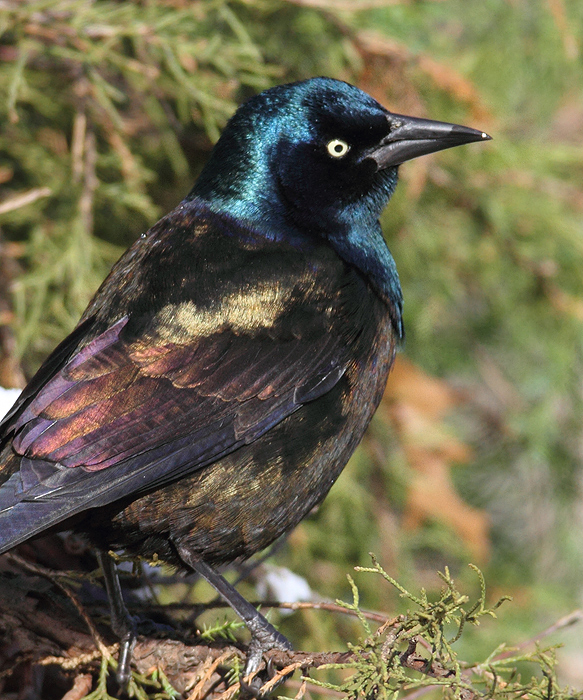 Note the distinctive blue iridescence on the head and the strong bronze coloration on the back and underparts. 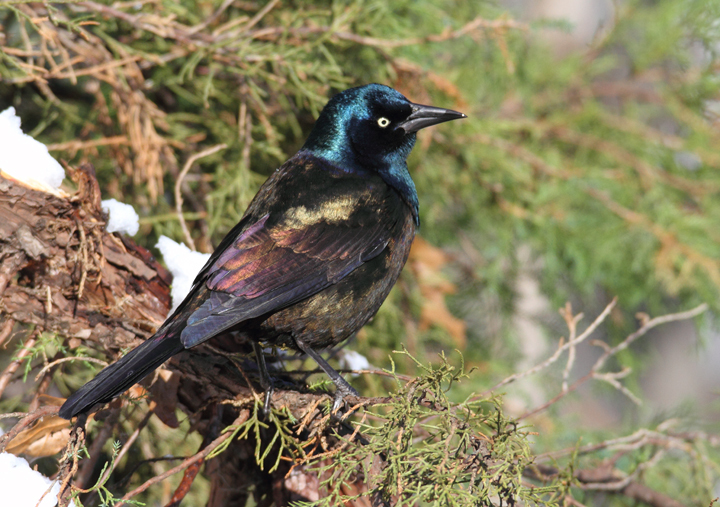 These bronzy areas are consistently bronze-colored and do not generally appear rainbow-colored as in Purple Grackle. 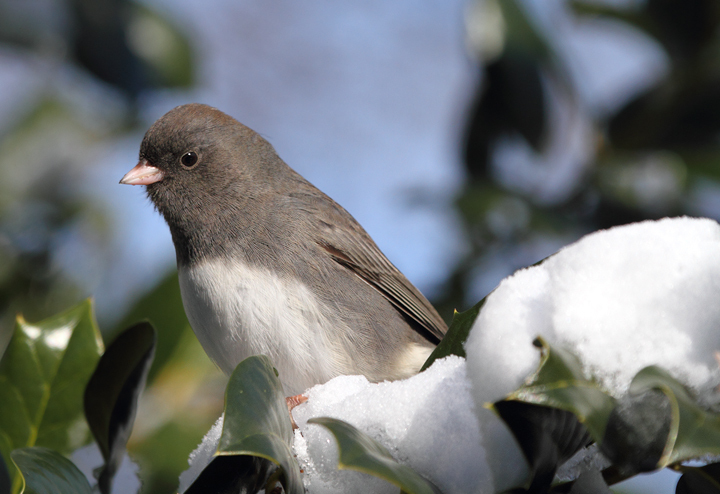 Below: A Slate-colored Junco checking out our busy feeders. (Anne Arundel Co., Maryland, 12/20/2009). 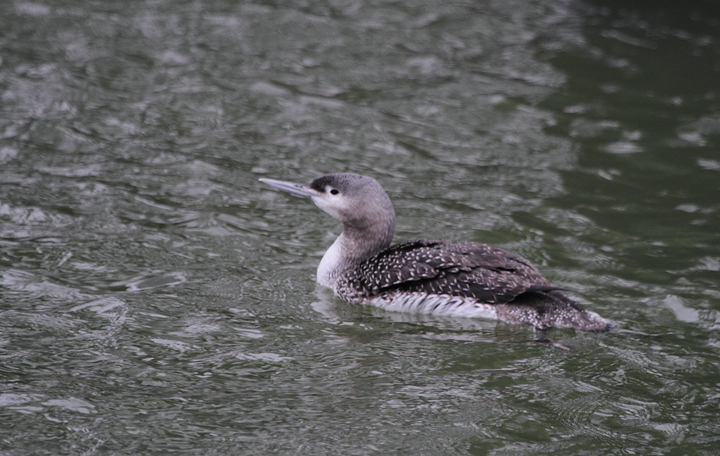 Below: A juvenile Red-throated Loon at Shantytown, Ocean City, Maryland (12/13/2009). 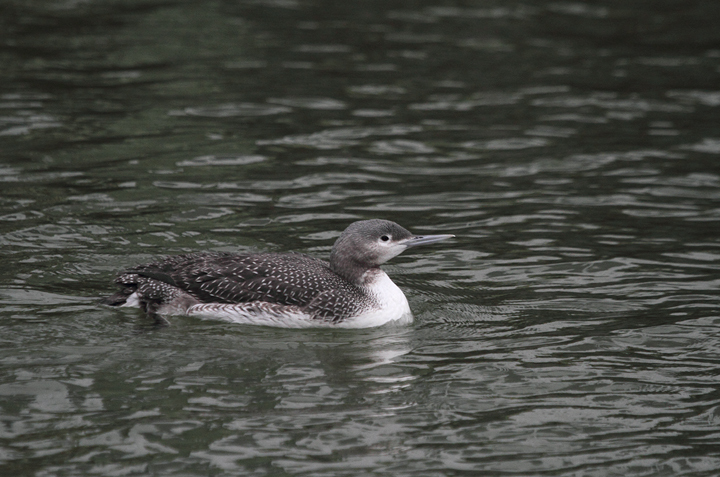 With the gray neck and strong necklace, this plumage can easily give you a jolt as a possible Pacific Loon. That was my first thought when I saw this one. 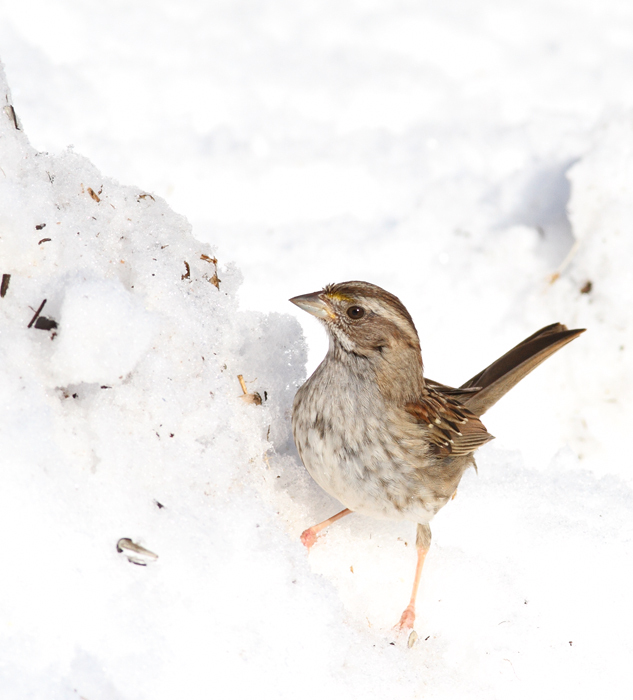 Below: A female House Sparrow joins the feeder visitors (Anne Arundel Co., Maryland (12/20/2009). 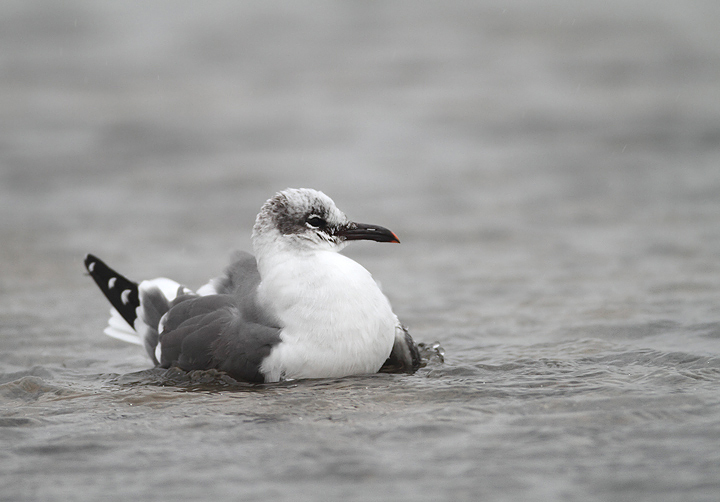 Below: A Laughing Gull at the Ocean City Inlet, Maryland. 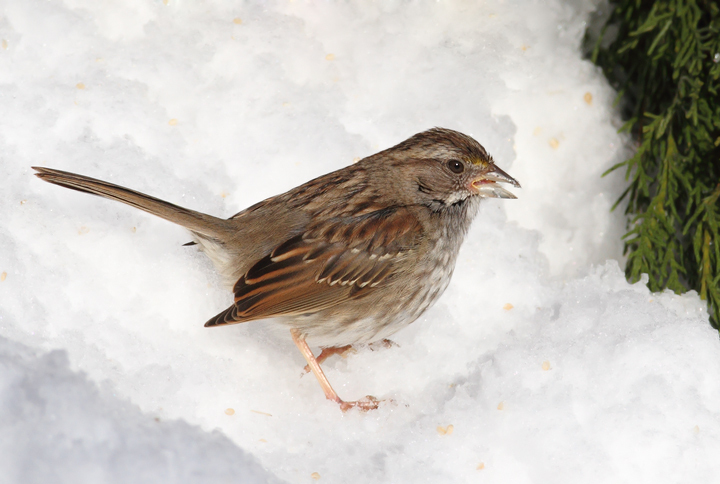 There were five present on 12/13/2009, which was my new late date in Maryland by one day. 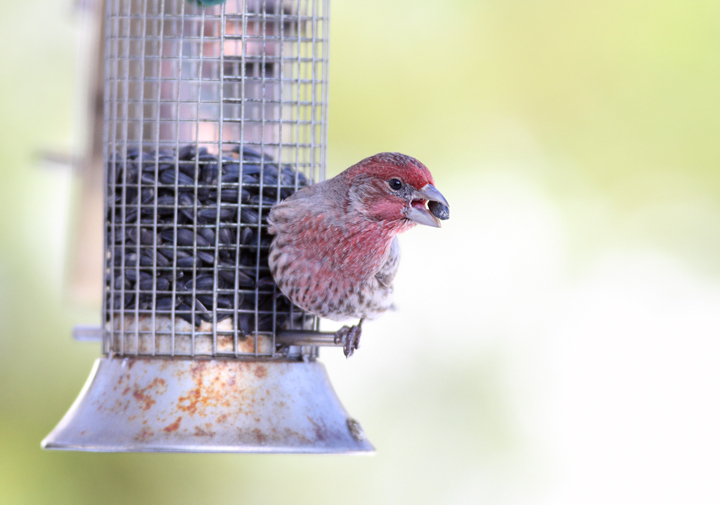 Below: A male House Finch visits our feeders in Anne Arundel Co., Maryland (12/20/2009). 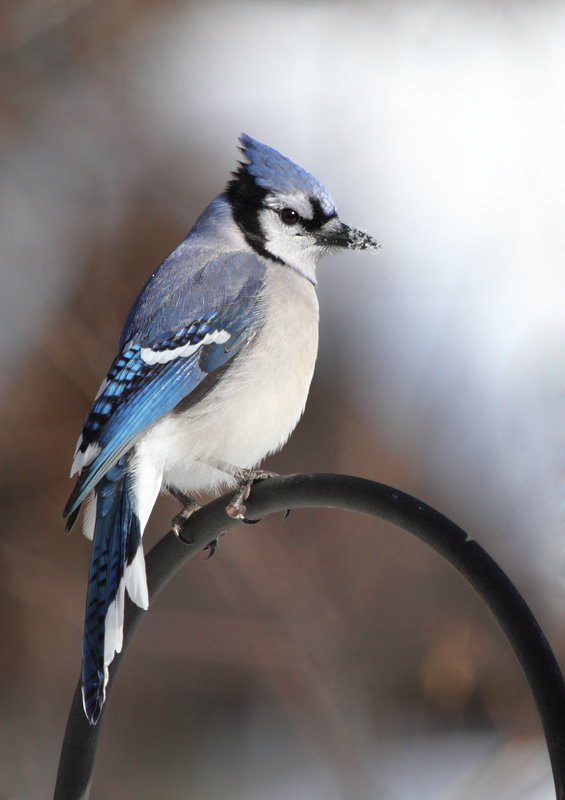 Below: A Blue Jay in our yard in Anne Arundel Co., Maryland (12/20/2009). 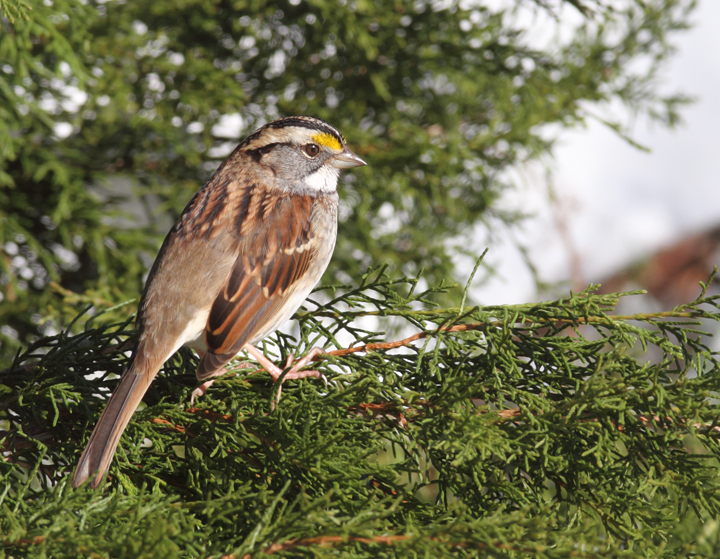 Below: An especially drab and poorly marked White-throated Sparrow, probably a hatch-year female, in Anne Arundel Co., Maryland (12/20/2009). 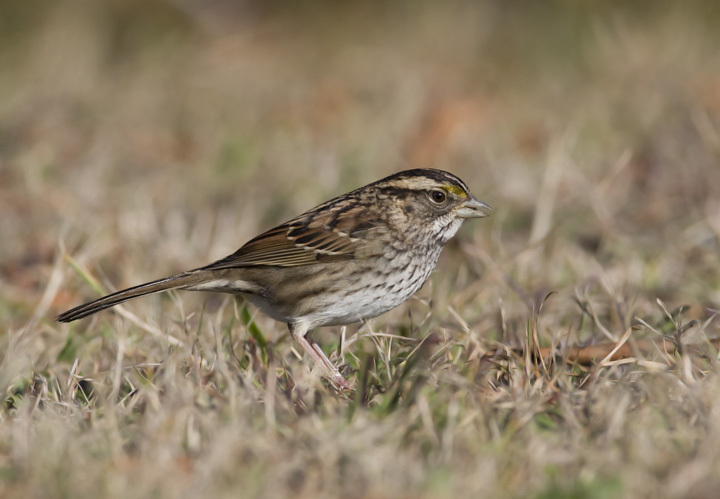 Below: A fairly drab tan-striped White-throated Sparrow for comparison (Assateague Island, 11/17/2008). 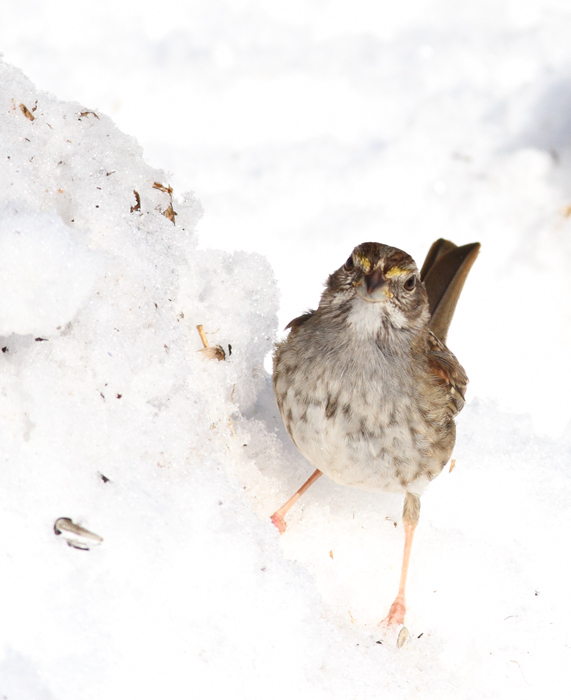 Below: An adult White-throated Sparrow in our yard in Anne Arundel Co., Maryland (12/20/2009).